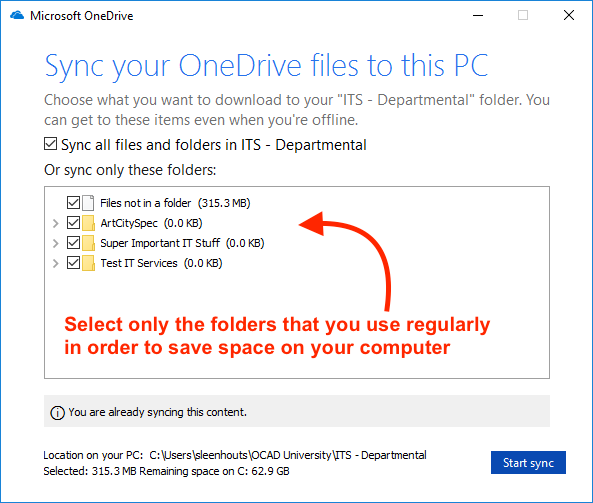 The purpose of this article is to instruct administrative staff how to access and store a local copy (should they choose to) of departmental files and folders to their Windows computer. 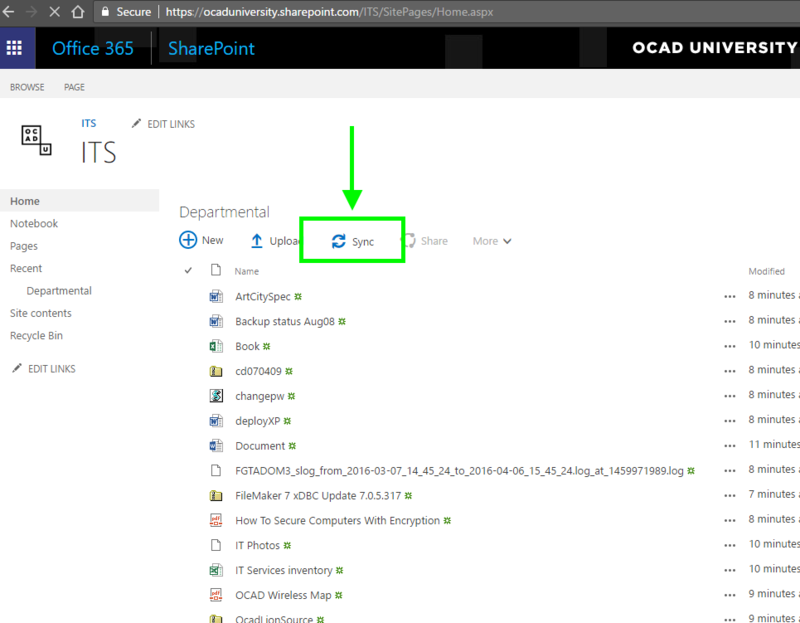 Please note: Microsoft Edge browser will not allow you to sync. Please use any other browser if you choose to sync, though Chrome is recommended. 5. Two pop up windows will appear. 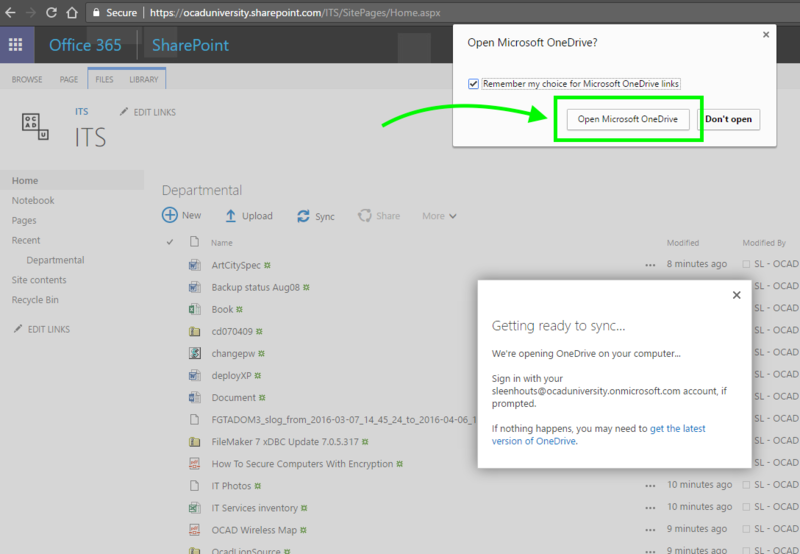 In the top window, check the box marked "Remember..." and select "Open Microsoft OneDrive" or "Open URL: OneDrive Client Protocol". 7. 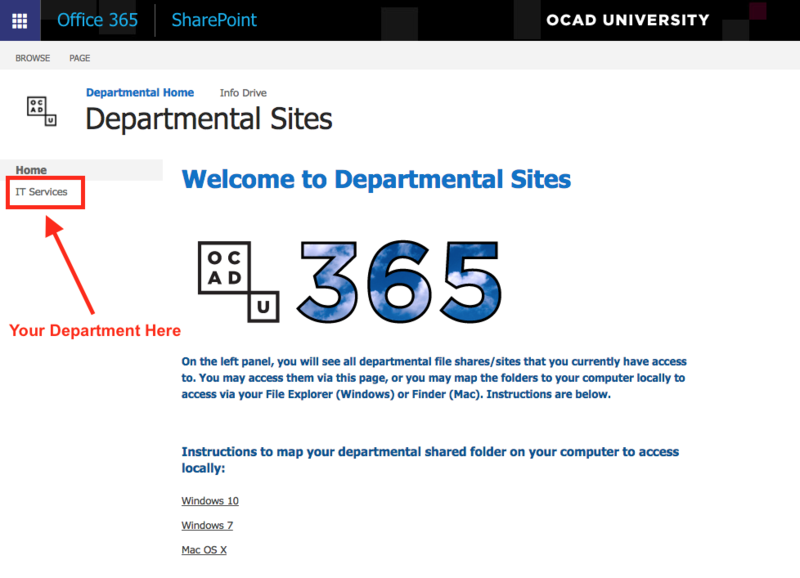 When you open your "file explorer" you should see a folder called "OCAD University" and within it the departmental folder that you are syncing. Allow time for the sync to complete. 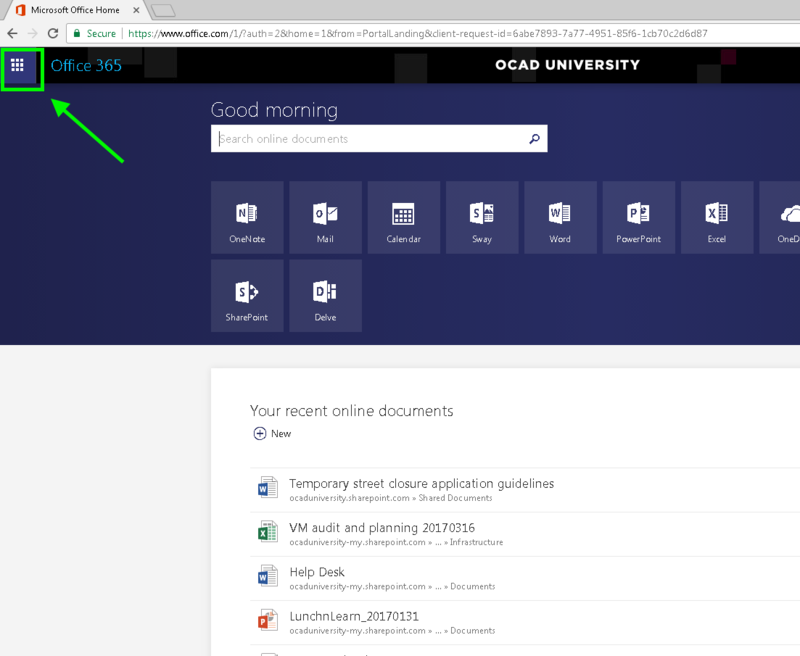 If you do not see the "OCAD University" folder in your "Favorites" or "Quick Access" bar, go to the Windows C: Drive, select "Users" and select the folder that corresponds with your OCADUid (OCAD U username). 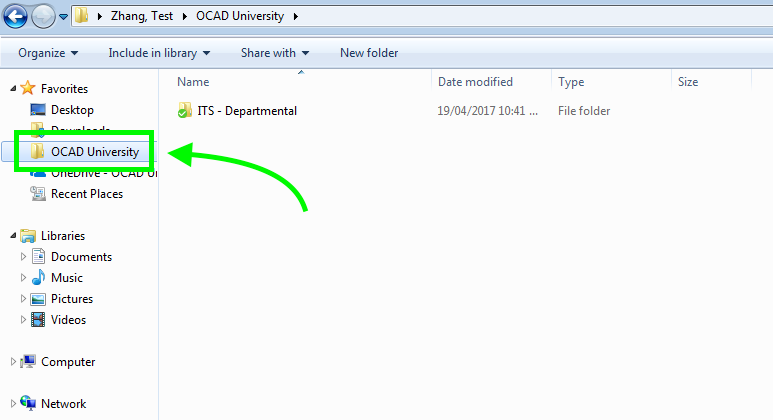 Within that folder you should see a folder titled "OCAD University" which contains the departmental files within it. 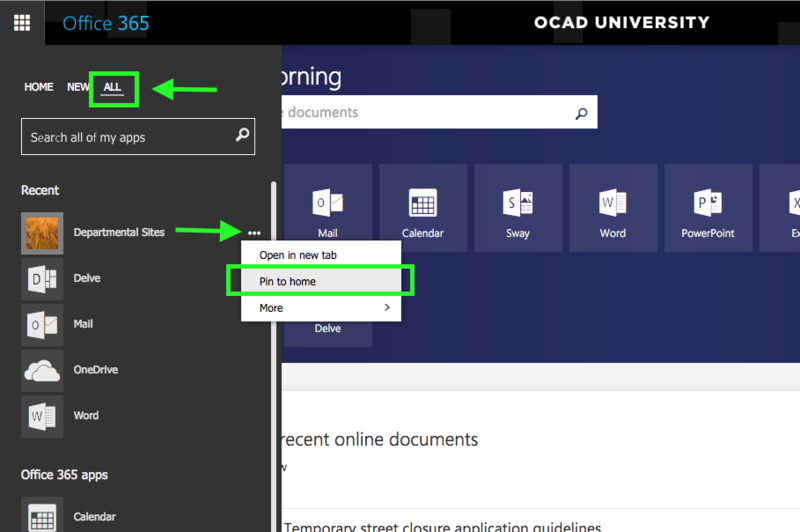 You may then right click and select "Pin to Favorites" or "Pin to Quick Access".